Shirt with short sleeves in red- Renko. 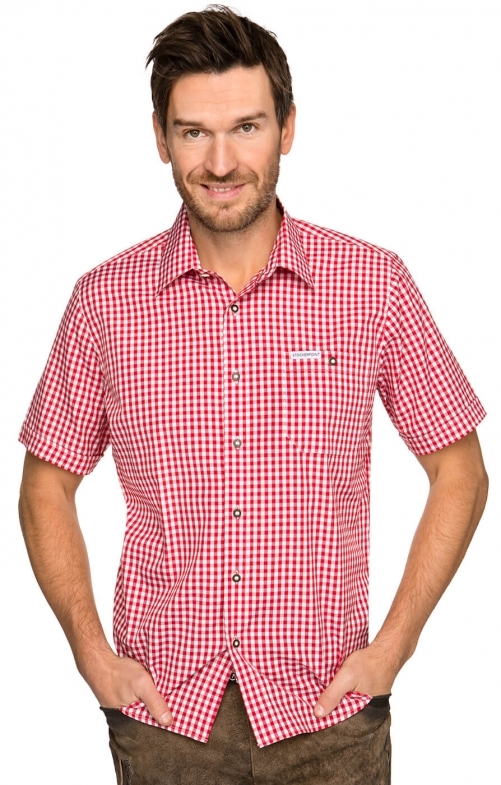 This class red gingham short sleeved shirt features horn buttons and a chest pocket bearing the distinctive Stockerpoint logo. This red Renko shirt is the perfect addition to any man's wardrobe and can and can be worn with jeans, classic german leather trousers or corduroys, making it suitable for either a smart or casual occasion. The shirt features breezy summer short sleeves and is made of easy to clean material. The classic dress shirt is as genuine branded item made of high quality material and is sure to turn heads. Gute Qualität und Passform, absolut empfehlenswert.